This class of audio refers to home audio equipment geared specifically to audiophiles due to its sophisticated design and use of high-quality technology. This technology combines strategic architecture of the products and the components within them to produce sound that will truly wow even the most skeptical or hard-to-impress music enthusiasts who know what to listen for. In other words, high-end audio is any equipment that is carefully designed to capture every note and feeling in music or even audio from a movie or show. Lower quality devices simply replicate or deliver a copy of the sound rather than investing the sophisticated technology to reproduce it properly. High-end audio provides a sound that is more accurate to real, live music than budget audio does. This means that the equipment is going to make for a more enjoyable and impressive experience for you, your guests, and family. If you’re going to invest in audio equipment – be it to entertain, relax at home, or all in between – it only makes sense to select that which will completely immerse the listener in the music. Overall, high-end audio is the route to experiencing music and audio in a more detailed and thorough way. It allows you to hear the distinctions between instruments and notes, rather than just having a wall of sound masking the environment. 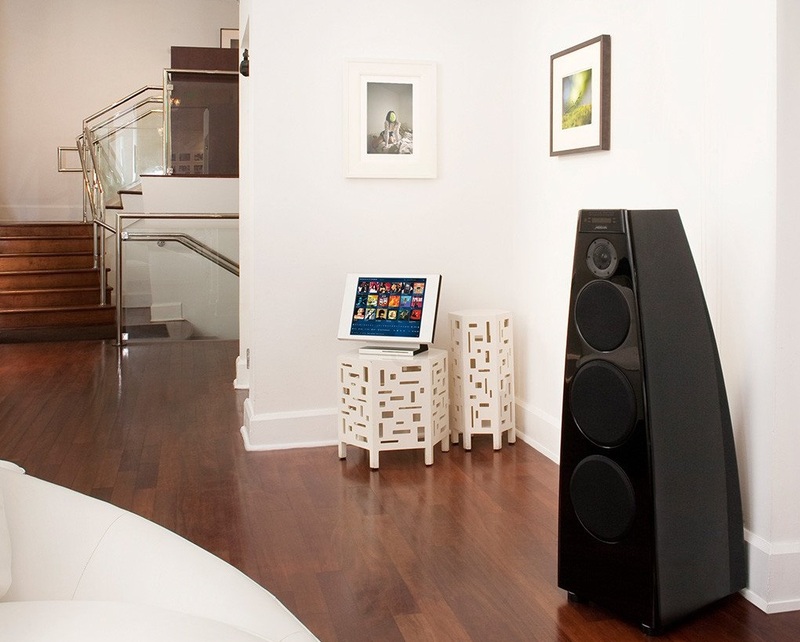 Eager to learn more about high-end audio and the impact it can make on your home? Whether you’re ready to go beyond the basics or start with an intro-level setup while you get comfortable with the rudimentary, we’d love to help. Feel free to reach out to us any time online or by giving us a call at (704) 412-4040.